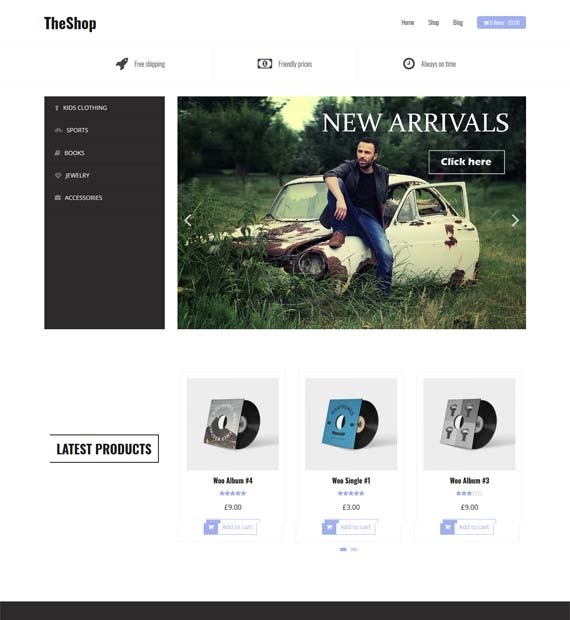 TheShop is a very user-friendly eCommerce theme for WordPress that is absolutely free. This clean and simple theme is designed to draw the eyes of your visitors towards your products. Extremely easy to use and set up, TheShop also features blog related options. You can also show off your featured products through the fantastic slider on the homepage. With WooCommerce compatibility, custom backgrounds, custom colors, and a great collection of fonts, you can’t go wrong with TheShop.